Happy Monday! I hope you had a great weekend! Ours was full of fun and food, as usual plus we even got some snow. I seriously can't believe this strange weather we have been having this March. It was in the seventies in February and it's been freezing this month. I think February and March must have just switched places this year! 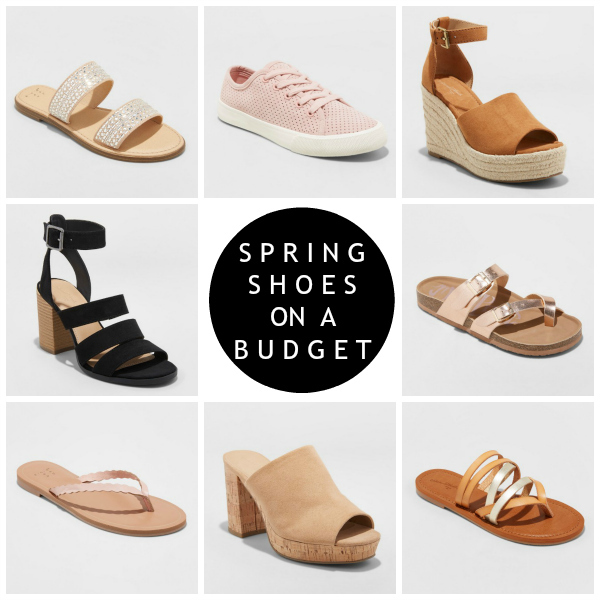 Lately, I have been on a shoe kick and this pretty much happens every spring. Spring and summer shoes are just the best! Today, I'm rounding up eight pairs that I either own or just really love! Bonus: all of these shoes are from Target and they are currently on sale for buy one get one half off. Such a great deal! This sale includes all women's, men's, and children's footwear. Grab a pair for yourself and get a pair for someone else for half off! 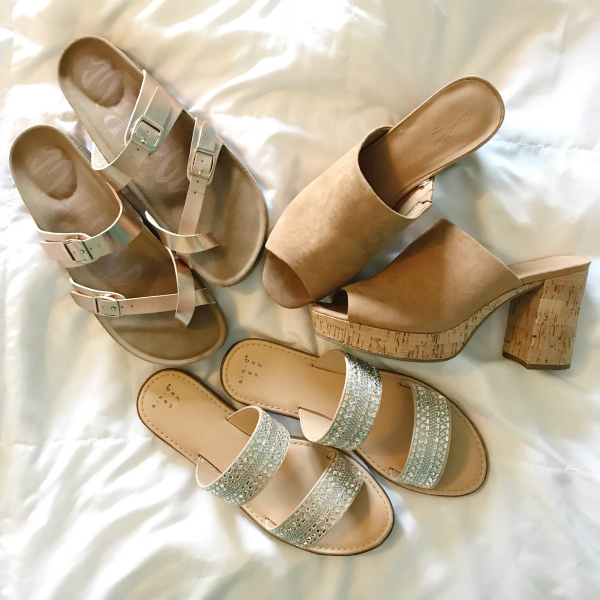 The three pairs below are three of my most recent Target shoe purchases and I love them all! The rose gold sandals fit true to size (I typically wear an 8.5 and the 8 worked for me), the slides are also true to size (even prettier in person- I love the embellishments), and platform mules are a great neutral heel (plus they are surprisingly easy to walk in and true to size).